We are so excited to be announcing a give-a-way from our new sponsor Rainbow Mealworms! There will be five ways to enter this give-a-way, and there will be three winners! What will you win? 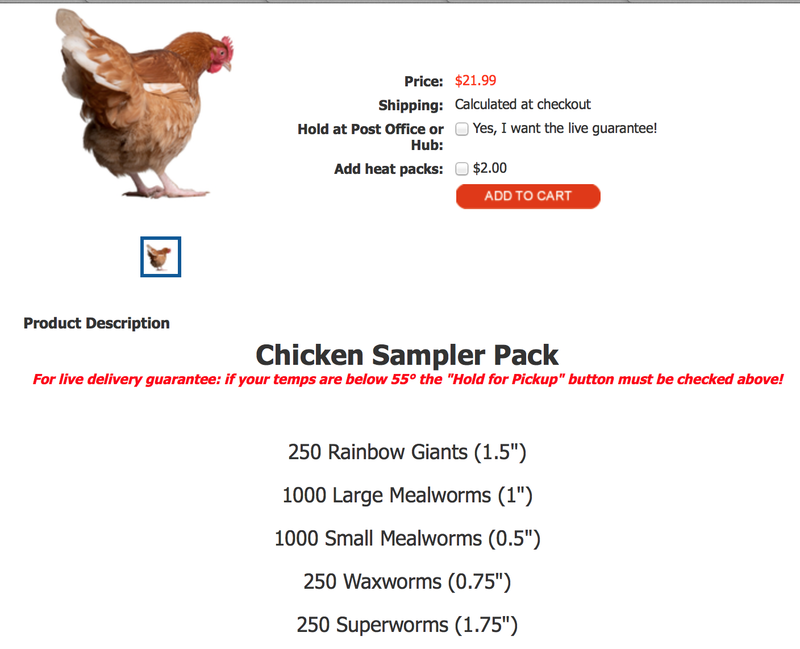 Rainbow Mealworms has generously agreed to give this chicken sampler pack to three lucky winners! generously given followers of Happy Days Farm a 10% discount on their entire order!